Please view our training videos by clicking the thumbnail images below. 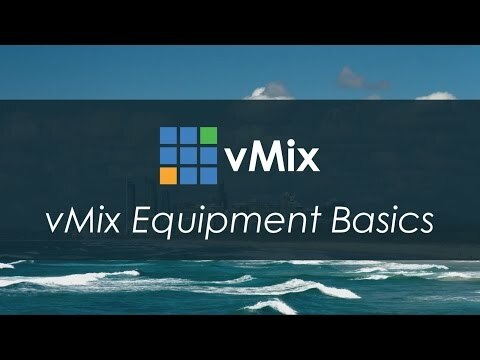 This video will go through all of the vMix basics. 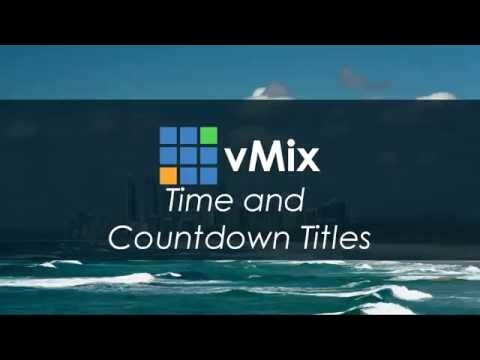 How to get started with vMix, Adding Inputs, Transitions, Recording, Streaming and Titles. Never used vMix before? This is the video for you! 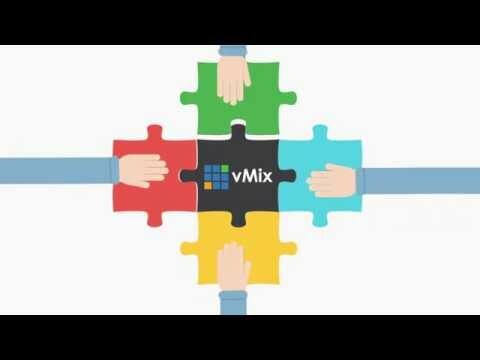 A quick animated video about what vMix is. Don't know how you've ended up on our website and want to know more? Watch this video for some more info! A two minute video listing ALL the major features in vMix for 2016! Just starting with vMix? Find out how to download and install it! Episode 2- The Vmix Interface and Adding an Input. Learn about the vMix interface and how you can start adding inputs. This video takes a look at putting together a live video prodution including videos, titles, cameras and overlays. 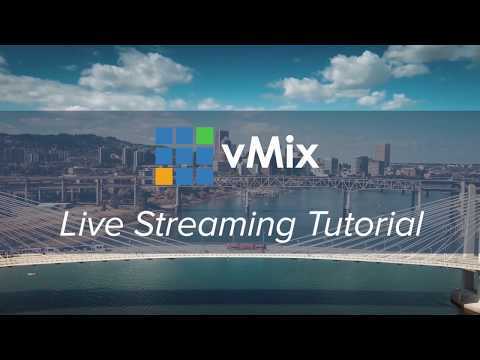 Learn the basics of live streaming and recording in vMix! 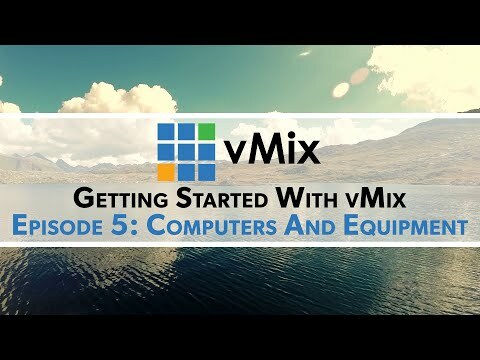 Episode 5- What computers and equipment will you need? Learn about Shortcuts, Presets, NDI and more with this tutorial. 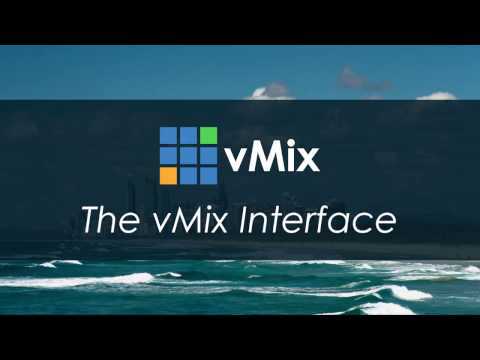 Take a look around the vMix interface. Learn how to live stream your production from vMix to your favourite streaming provider such as YouTube, Facebook, Twitch and more! 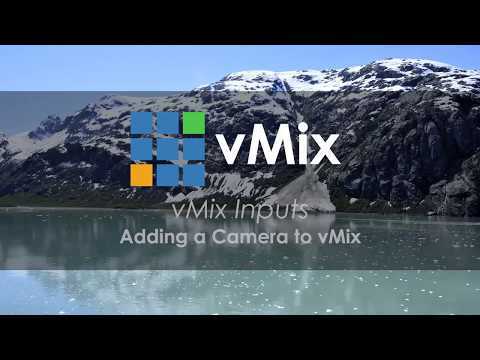 In this video we will be demonstrating the chroma key and virtual set capabilities in vMix. 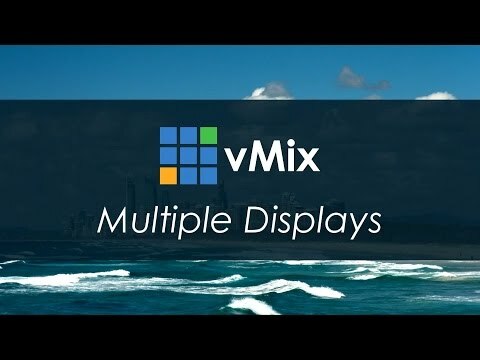 In this video we will show you how you can use a second display to display your vMix output. 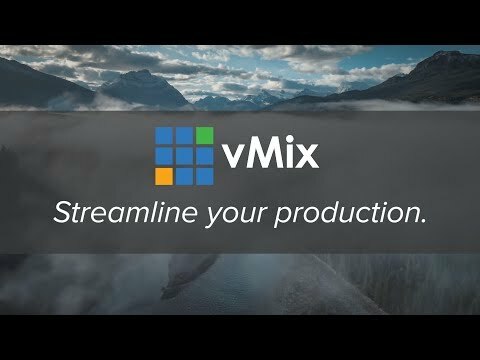 Learn how to setup and record your vMix production to file. Learn how to control functions in vMix remotely using the vMix Web Controller. Learn how to create and use stinger transitions. 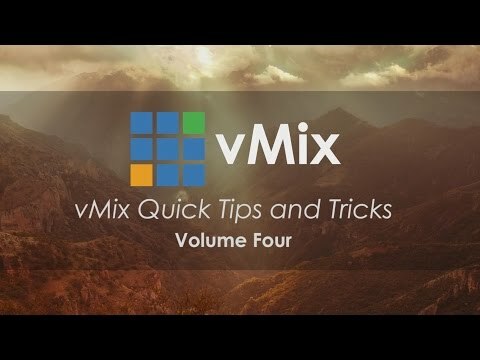 Learn how to create and use shortcuts in vMix. 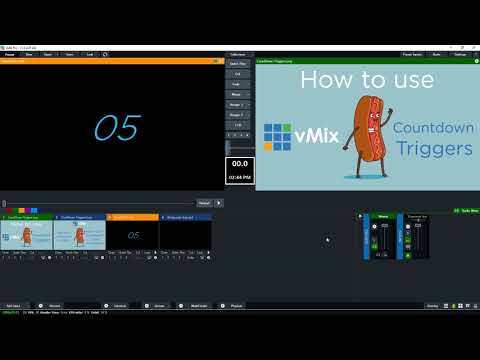 Learn how you can use Triggers in vMix to help automate your live video production. 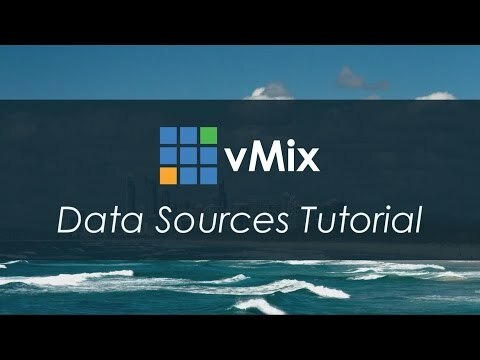 This video will show you how to use external data sources through the Data Sources feature in vMix. Program your MIDI devices to control lights and motorized faders in vMix. 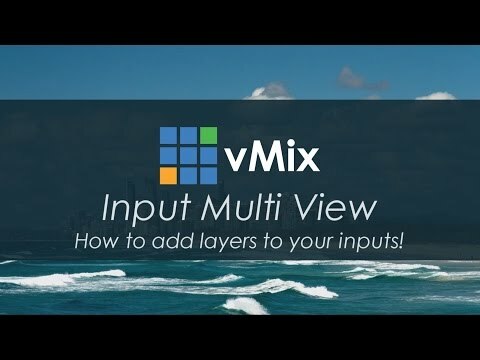 Learn how to add layers to your vMix inputs. This video will show you how to create inputs with multiple layers that allow you built complex shots with multiple elements. 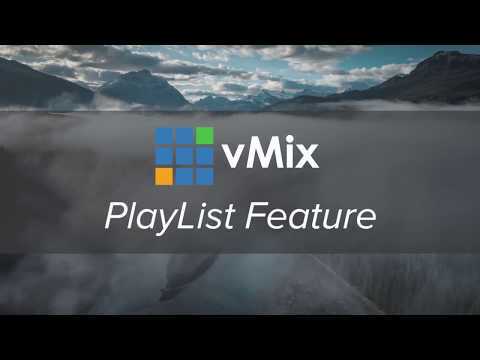 vMix Automation through the Playlist feature. 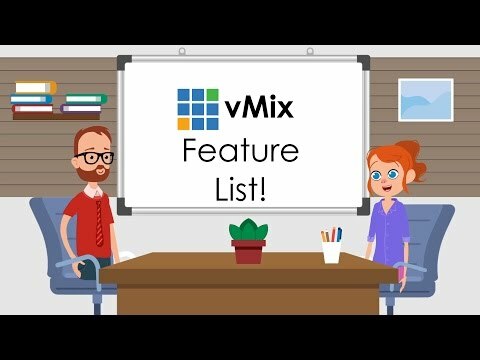 This video takes a look at the PlayList functionality in vMix. Using Shortcuts and Triggers can make complex tasks easy and this video takes a look into our monthly live show to see how we use them. Add Remote Guests to your live production. 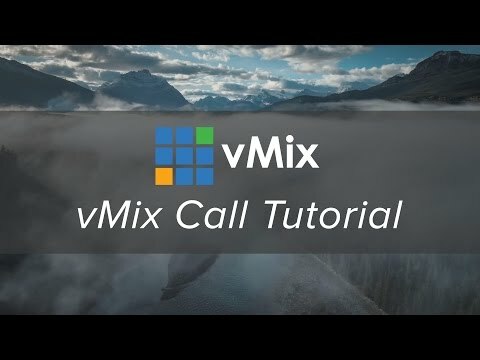 vMix Call allows vMix users to add remote guests to a production with just a couple of clicks. vMix Social is a free addon for vMix that allows you to use live social media content such as Tweets, Facebook comments, Instagram content & YouTube Live chat in your live production. 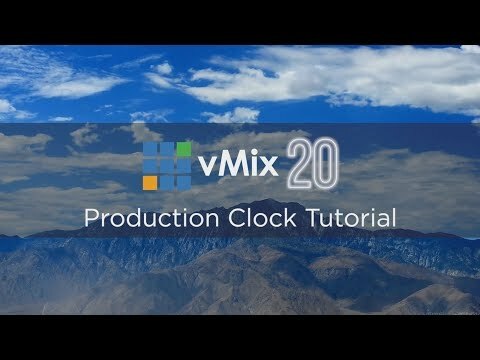 Learn how to set up production clocks for your live video production. Production clocks allow you to display the time, a countdown and timer for streaming and recording. 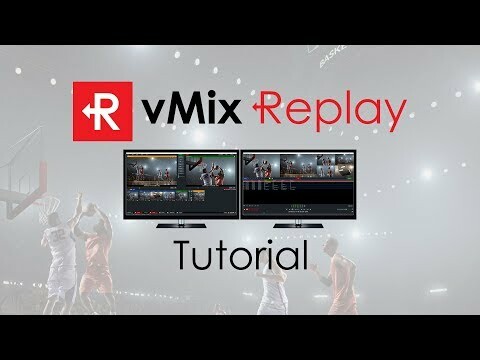 vMix Replay is a powerful sports production system that can be used to add four camera slow motion instant replay to any production. Using the Merge Transition Effect in your production. The Merge Transition Effect is a great way to transition when using the vMix Multi-View! The time and countdown timers are a great way to use sports clocks or the local time in your live productions. 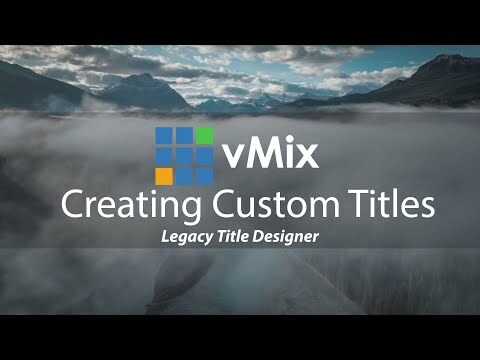 Create titles in your favourite image editing program and then make custom titles in vMix. What capture device should you use? This video will take a look at the 2 types of capture devices you can use for live streaming. Internal vs External...what's best for your production? Using Shortcuts and Triggers to streamline your production. 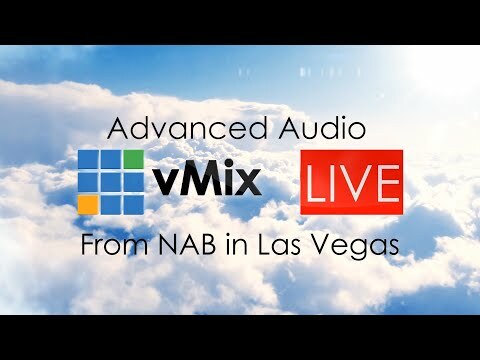 Live from the vMix booth at NAB 2016! Martin discusses all of the audio features in vMix. 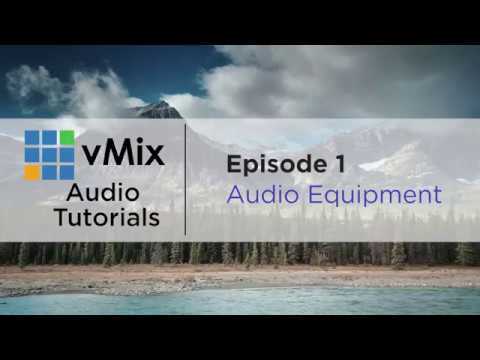 A look at some of the different video and audio equipment you can use your vMix live video production. 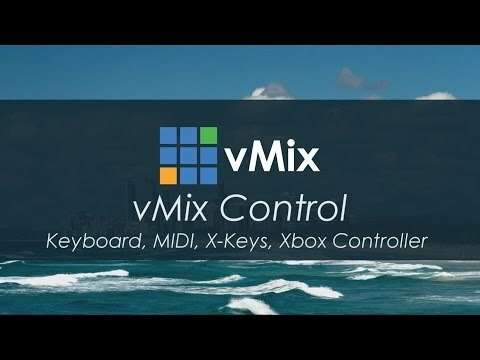 vMix Control- MIDI, X-Keys, Keyboards, Xbox Controller, Phones and Tablets! This video takes a look at all the ways that you can control your live video production. 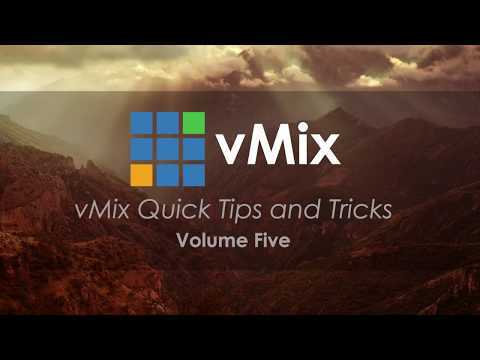 Streamline your workflow by creating Shortcuts and using different devices in vMix. Wondered how to upgrade your live streaming software? 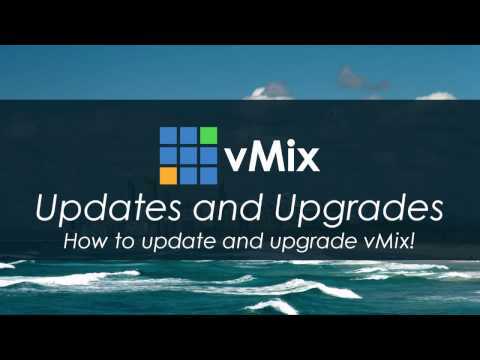 This tutorial video will show you how to update and upgrade vMix. 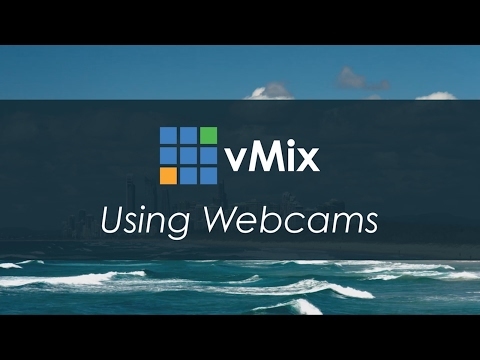 This quick video will take a look at using Webcams in a live video production. This video was made using an integrated laptop Webcam and shows has easy it is to create a production around it. 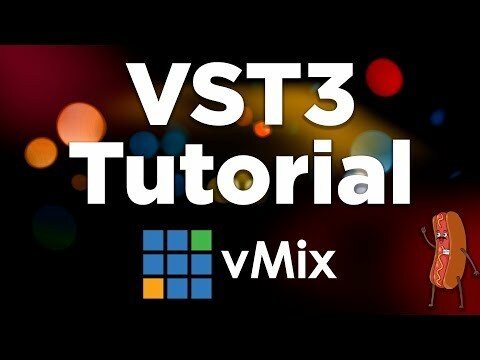 This video will show you how to create professional audio in your streams by adding VST3 plugins. 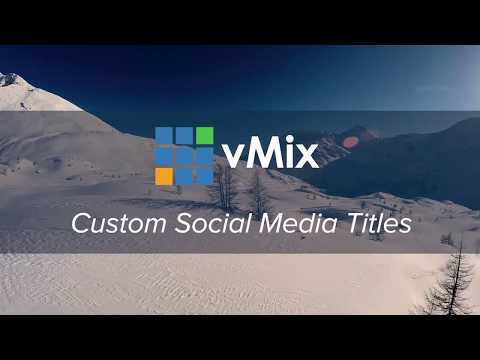 Create custom titles for use with vMix Social. 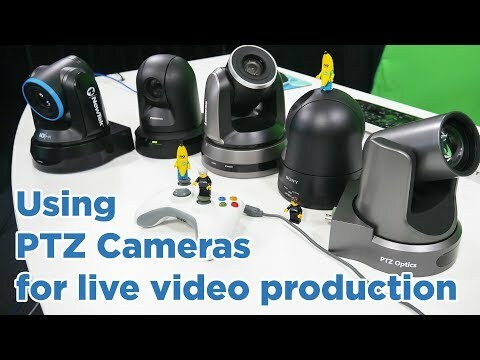 PTZ cameras are an easy way to add multiple camera angles to your production. They're great for small productions, volunteers, houses of worship, schools, universities, conferences, studios, interviews and much more. 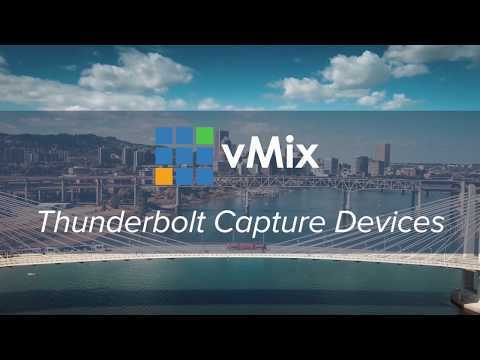 This video looks at Thunderbolt 3 capture devices and how they can be used in live production. It takes a look at the AJA io4K+ and also how you can build you own with an Akitio Enclosure and a BlackMagic Design Duo 2. Countdown triggers will allow you to add a function to your production when your timer stops! 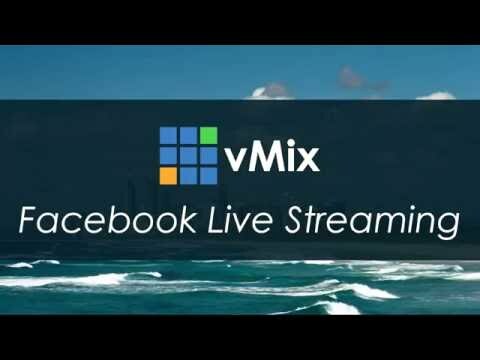 Learn how to stream directly to Facebook from your vMix live video production! IFor those new to Facebook Live streaming, this video will take a look at what you might need for a professional production. Streaming to Twitter and Periscope. 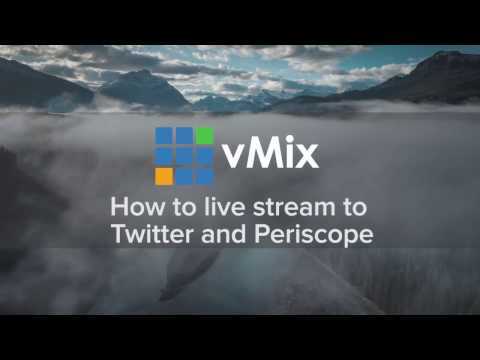 This will go over how to stream to 3 locations with vMix. 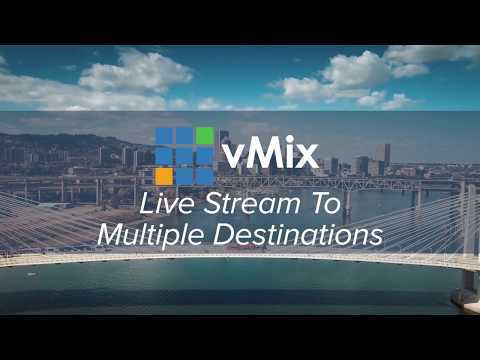 Use vMix to simulcast your streams to maximise your message and your reach all of your audience. 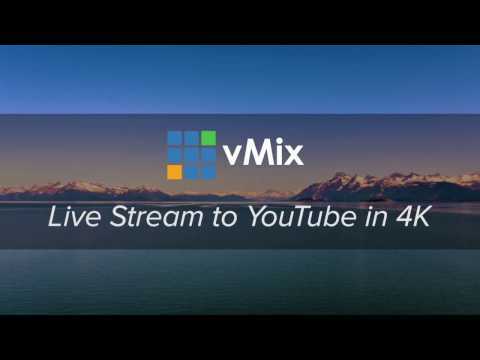 This LIVE 4K tutorial will discuss live streaming your video production to YouTube in 4K! In this series of videos we'll look at what Inputs are and how you can use them in your live video production. In this video we'll look at the different settings you can adjust for your vMix inputs. In this input tutorial video we look at adding cameras to your live video productions. In this input tutorial video we look at adding video files to your live production. How to add a Web Browser input into your live production. How to use the List Input in vMix. Use the vMix List Input to create a list of video, audio and M3U playlist files that can be played as 1 input in vMix. Learn how to easily use DVD videos and menus directly from the vMix interface. vMix allows you to use PowerPoint presentations in your live streaming productions from the same computer. Add images quickly and easily to your vMix production. 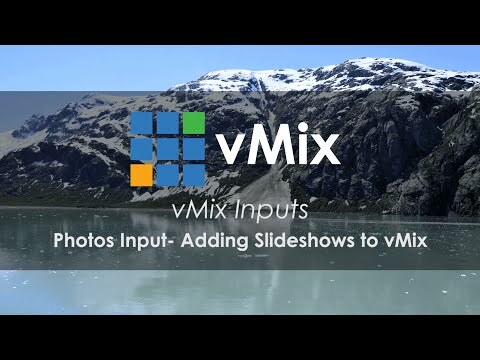 The Photos Input in vMix allows users to add a folder of images into vMix to create slideshows or a mini playlist of images. How to add an NDI input to your live video production. NDI allows you to add inputs across a local network! This includes outputs, desktop captures, cameras, audio and much more. This video will go over 4 different ways to add audio to your live streaming production. This video will go over some of the basics with vMix Audio. You'll learn how to turn on/off your audio, how to ensure your Mic is on all the time, how to sync your audio and more! 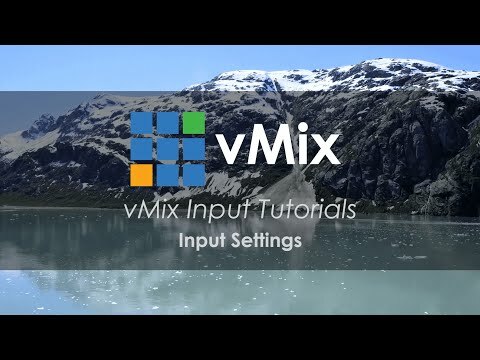 This video will take a look at your input's audio settings in vMix. It will cover audio delays, EQ, compressor, audio matrix and more! This tutorial will look at how you can route audio in vMix in different way. Learn how to monitor your audio, send audio to different devices and route audio to different parts of vMix. The following video talks about what NDI is and how it will improve your live video productions with vMix. 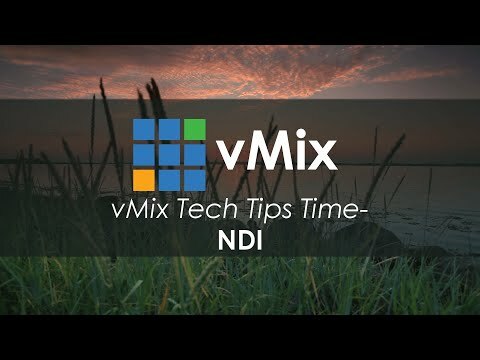 This video will show you how to use NDI with vMix. 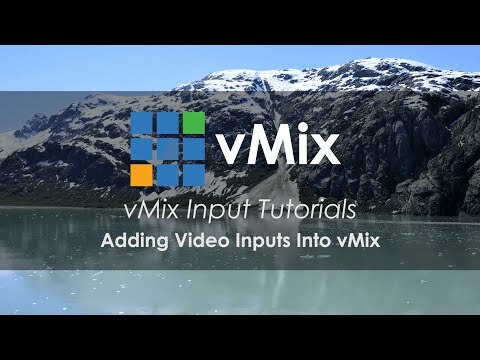 You'll learn how to add NDI sources in vMix and also how to make your vMix production a source for other NDI devices. Learn how to use the vMix Desktop Capture for NDI application to use your computer desktop as a source in your live video production. 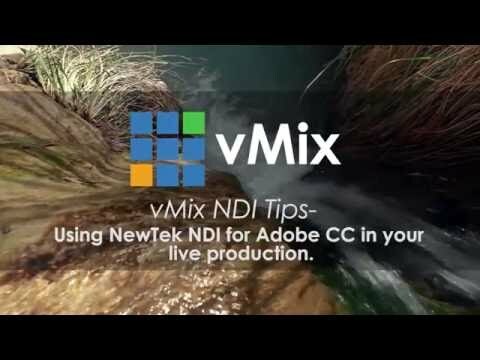 Using NDI for Adobe Creative Cloud plugin with vMix. Create live titles and videos in Adode Premiere Pro and After Effects and play them directly into vMix via NDI. 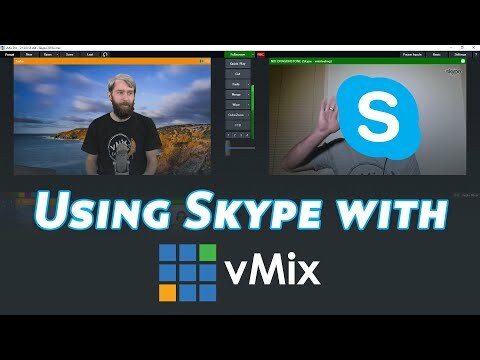 For a written overview on setting up Skype in vMix, please consult our Knowledgebase Guide. This video talks about frame rates with video production in vMix. This is a clip from our vMix Fun Time Live Show. 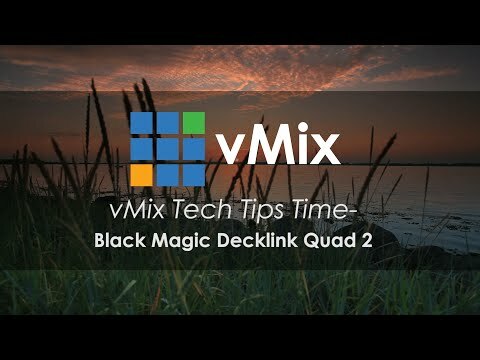 Using the BlackMagic Decklink Quad 2 Capture Card with vMix. This video will explain how to use all 8 channels of the BlackMagic Design Decklink Quad 2 capture card. For more information, please see the vMix Knowledgebase Guide. 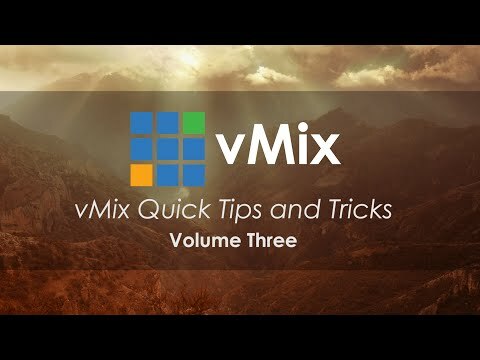 vMix Tips and Tricks Volume 1 - Drag and drop files, rename inputs, and more! This is Volume 1 of quick tips for using vMix. This video covers dragging and dropping inputs, renaming inputs, changing mouse click actions and categorizing your inputs! Take your live video production to the next level with these top-notch tips and tricks! vMix Tips and Tricks Volume 3- Resize your workspace. NDI cameras and more! Some more tips and tricks that you may not have known (or wanted to know!) about using vMix! A look at some of the handy new additions to vMix plus some tips about improving your performance.